BLOG UPDATE 2 (10/7/13): The Metcal branded MFR systems are now shipping. In addition, newly designed handpieces (MFR-H1-SC2 and MFR-H2-ST2) will ship with the Metcal branded MFR systems. These new lightweight and ergonomic handpieces replace the MFR-H1-SC and MFR-H2-ST cartridge and tip handpieces, which were reported to be too big and bulky. The MFR-H1-SC2 and MFR-H2-ST2 will also dissipate heat more efficiently. There is no price difference between the new and old handpieces. 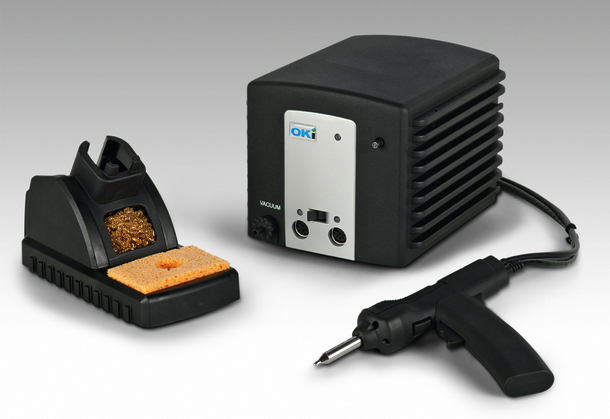 BLOG UPDATE (9/10/13): The rebranding of Metcal’s MFR Series Soldering and Desoldering equipment has been delayed. The effective date is now October 1, 2013. 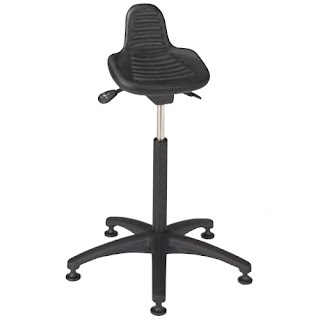 For more information please visit http://www.Metcal.com. OK International (OKi), maker of bench tools, equipment and related products for electronics and industrial product assembly; and Lymtech Scientific, maker of clean-wiping products for critical environments and specialty applications, recently announced they will undergo name changes as part of rebranding efforts. OKi products will now be branded as Metcal and Lymtech will be known as Essentra Porous Technologies (a division of Essentra plc). OKi believes that this rebranding will "make the Metcal product line accessible to a wider audience by carrying forward the value proposition created by the OKi brand." This name change encompasses all OKi soldering & desoldering, fume extraction, handheld convection equipment, and fluid dispensing products. OKi is aiming to have all of their products rebranded as Metcal by the end of this September. Current OKi branded products will be sold and distributed until they are out of stock. Lymtech's rebranding changes their legal name to align with their parent company, Essentra, plc. Come this October 14th, they will no longer be known as John R. Lyman Company, d/b/a Lymtech Scientific, but will adopt the company name of Essentra Porous Technologies. The rebranded Lymtech products will undergo a name and logo change, but the products and part numbers will remain the same. Lymtech’s facility, manufacturing process, equipment, and location will also not change. Lymtech looks forward to continuing their reputation for "quality, reliability, dependability, and world-class service." For more information about OKi, Metcal, or Lymtech products please visit QSource.com. You can also give us a call at 800-966-6020 or contact us via email. If there's a product or topic you'd like to see The Q Source Resource write about please let us know. We'd also appreciate if you share this blog post with your friends and colleagues via the social media links below. If you have questions or comments about any of the companies and their products discussed in this blog, or related topics, please leave us a message in the comments section. a number of portable & desktop configurations. While laser printers and ink jets may dominate home and office applications, thermal transfer printing is the top choice for bar code and label printing in industrial, commercial, and laboratory settings. Thermal transfer technology allows for clear, high-density lines and durable, long-lasting printouts suitable for use in extreme conditions. Thermal transfer printing technology has been around for many years and offers a number of advantages over its laser and ink jet alternatives. Let's take a look at how thermal transfer works. will guarantee a high-quality result. In thermal transfer printers, the print head heats up and as the ribbon and material (substrate) come in contact with it the heat melts the ribbon ink, thereby transferring the ink to the material. This process allows for fast printing, precise lines, durable results (depending on materials used), and less wear and tear on the print head compared to other technologies (e.g., ink jet or laser). 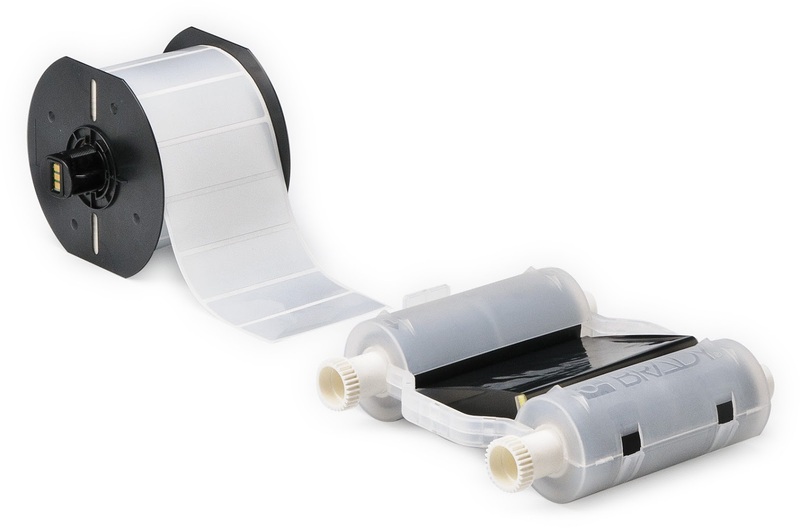 Thermal transfer ribbon ink is usually composed of wax, resin, or a wax/resin combination. Wax ribbons are more suitable for shorter-term applications due to their low cost and low durability. Resin ribbons are the high-quality choice for long-lasting results. Using the right combination of ribbon and label will provide the highest quality print. Thermal transfer printers are particularly well-suited for bar code printing. Designed to print accurate, high-quality images, their edge definition allows for the exact widths needed for precise bar code scanning. Thermal transfer labels provide durability in extreme conditions. They also feature the ability to print on a variety of materials, such as paper, polypropylene, and polyester. 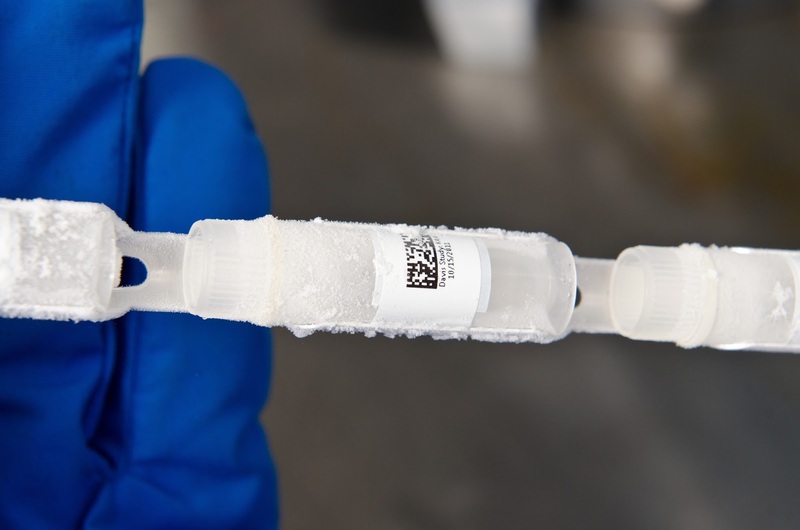 It is this combination of materials and technology that allows thermal transfer printers to create clear, long-lasting labels applicable for use in permanent identification, inventory, certification, laboratory environments, heat shrink, cold/freezer storage, and outdoor/extreme conditions. 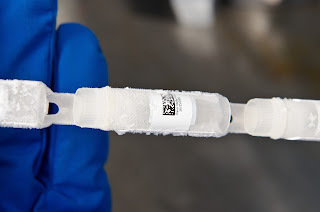 While ink jet and laser printers may have pluses in some application areas (e.g., posters, office documents, or high-quality photos), their minuses, particularly in bar code and label printing, make thermal transfer printers the best choice for most industrial/commercial/laboratory tasks. Ink jets and laser printers can't match the combination of speed and quality of thermal printing, their printers and materials are often more expensive, they cannot provide the long-lasting print results of thermal transfer technology, and they have more frequent maintenance requirements. QSource.com offers an extensive selection of portable and desktop/industrial thermal transfer printers, ribbons, labels, and accessories from Brady Worldwide (Brady). With choices ranging from the ultra-portable Brady BMP21 Label Printer (a handheld, quick-printing, all-in-one label maker) to the BMP71 Portable Thermal Label Printer (a versatile portable printer with more than 400 different label options) to the high-performance IP600 Thermal Transfer Label Printer (featuring Brady's Smart Cell technology, which allows the printer, materials, and ribbon to communicate with each other), you're sure to find the thermal transfer solutions to meet your exact needs. For more information about, or to place an order for, Brady Thermal Transfer Printers please visit QSource.com. You can also give us a call at 800-966-6020 or contact us via email. If there's a product or topic you'd like to see The Q Source Resource write about please let us know. We'd also appreciate if you share this blog post with your friends and colleagues via the social media links below. If you have questions or comments about Brady Thermal Transfer Printing solutions or related topics please leave us a message in the comments section. are on a shipping hold. 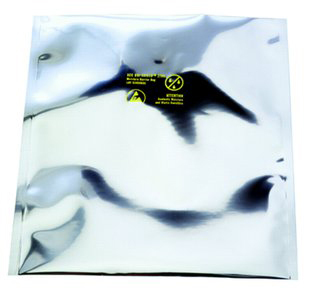 3M has now added the 3M SCC Dri-Shield 3000 Series and 3400 Series Moisture Barrier Bags to their shipping hold list. The Dri-Shield 2000, 2700, 3000, and 3400 Series Bags will be unavailable until further notice. We will continue to provide updated information about these bags as it becomes available to us. For questions about the 3M Moisture Barrier Bags or related issues, please call us at 800-966-6020 or email us and we’ll be happy to assist you. 3M recently announced a shipping hold on their 3M Moisture Barrier Bags SCC Dri-Shield 2000 and SCC Dri-Shield 2700. The hold was put in place after tests showed Moisture Vapor Transmission Rates (MVTR is the amount of moisture that passes through to the bag interior over time) were above the specifications for these products. 3M is continuing to conduct tests and investigate the issue. In addition to these steps for existing Dri-Shield 2000 and 2700 Bags, 3M's SCC Dri-Shield 3000 Series and SCC Dri-Shield 3400 Series Moisture Barrier Bags are still available as an alternative. 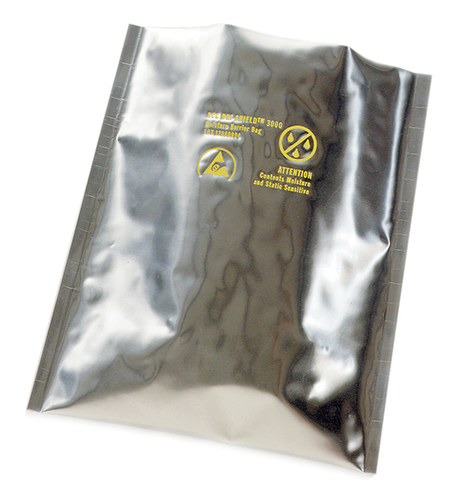 The Q Source Resource will continue to provide status updates about the 2000 and 2700 Series Bags as information becomes available. have now been added to the ship hold list. For more information about, or to place an order for, Dri-Shield 3000 Series or Dri-Shield 3400 Series Moisture Barrier Bags please visit QSource.com. You can also give us a call at 800-966-6020 or contact us via email. If there's a product or topic you'd like to see The Q Source Resource write about please let us know. We'd also appreciate if you share this blog post with your friends and colleagues via the social media links below. If you have questions or comments about 3M Moisture Barrier Bags or related topics please leave us a message in the comments section. You’ve heard about Vision Engineering’s awesome Mantis Compact Summer Promo Sale. Well, we’ve done them one better. 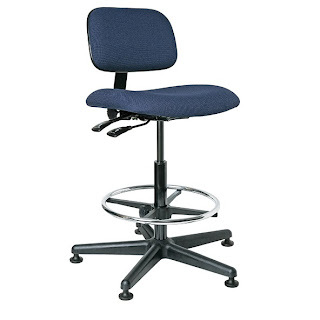 We’ve lowered prices across our entire Vision Engineering product line. In many cases you’ll find prices even lower than the 25% off in Vision’s Summer Promo. We want to make this a summer of savings and you’ll find great deals on items like stereo microscopes, visual inspection systems, lenses, stands, and other accessories. 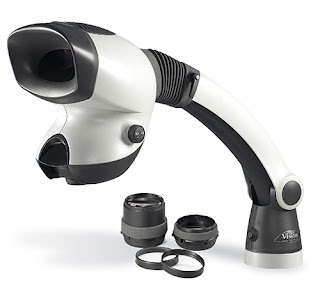 For instance, the MCH-001 Vision Engineering Mantis Compact Series Stereo Microscope Visual Inspection System Head was originally lowered to $825.00 per the promo sale. We decided to make it an even better deal and have cut the price to $755.00. Stop by our Vision Engineering Department and discover new savings. Now’s the time to buy that incredible CamZ Handheld Portable Digital Video Inspection Magnifier for inspection applications on the go. If you’ve been waiting to buy extra lenses for your existing Vision Engineering Mantis Stereo Microscope, such as the MEHCAM-001 Mantis Elite-Cam Stereo Microscope Visual Inspection System Head get them now and save big. For more info about Vision Engineering products, or to place an order, you can give us a call at 800-966-6020 or contact us via email. 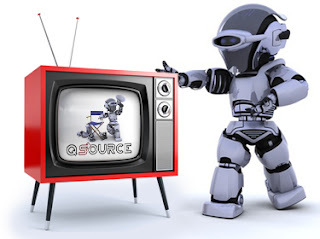 If there's a product or topic you'd like to see The Q Source Resource write about please let us know. We'd also appreciate if you share this blog post with your friends and colleagues via the social media links below. If you have questions or comments about Vision Engineering products or related topics please leave us a message in the comments section. Tim O'Neill, Regional Sales Manager for AIM Solder, stopped by Q Source yesterday to help us continue our regular product training regimen. Tim spoke to us about AIM Solder products and solder in general. Beginning his session by stating, "It's in everything you have that has an on-off switch," Tim took us through the history of AIM and of solder (did you know that King Tut's sarcophagus was soldered). He went on to speak about surface mount soldering, wave soldering, hand soldering, flux, and which AIM Solder product worked best with each application. Is it a tin-lead or lead-free application? Do you need no-clean or water soluble? Is it for a dispensing application? Is it for printing or rework applications? Are you using solder paste or gel flux? Are you using SAC305, Sn/Bi & Sn/Bi/Ag, or SN100C? Are you using SN100C & low-AG alloys or SAC305? 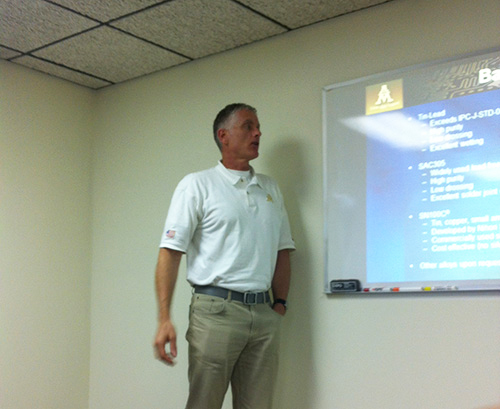 We want to thank Tim for his time and for sharing his extensive knowledge of AIM Solder products and the soldering process. The information provided to us will most definitely be a valuable tool in better serving our valued customers. AIM bar, spool, and solder paste products are available in our AIM Solder Department at QSource.com. You can also give us a call at 800-966-6020 or contact us via email to place an order or get further info. If there's a product or topic you'd like to see The Q Source Resource write about please let us know. We'd also appreciate if you share this blog post with your friends and colleagues via the social media links below. If you have questions or comments about AIM Solder products or related topics please leave us a message in the comments section. At Q Source we take great pride in the quality of our employees. Everyone at Q is committed to providing the best customer service experience possible, but there are some who go much further than that. Many of the folks at Q Source offer their own time, talent, and expertise to contribute in very meaningful ways in their communities or to raise awareness on important social issues. Dan Olawski, resident blogger and social media guru, is one of those people. 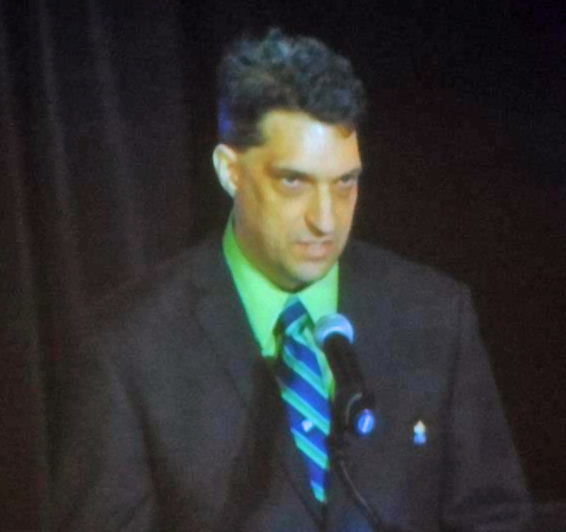 More used to writing blogs than giving speeches, Dan recently delivered the keynote address at the Young Autism Program Charitable Foundation (YAPCF) of DDI's Annual Dinner/Dance here on Long Island. Reflecting on his experiences as an autism parent and the need for autism education and awareness, Dan spoke to an audience of about 400 parents, teachers, and administrators gathered for the fundraising event. "I'd never spoken in front of that many people before and was extremely nervous. But I relaxed after I realized how important the topic was to me…and getting my first laugh at one of my jokes didn't hurt either," he said. Dan has worked at Q Source since 2010. In addition to his blogging and social media work for The Q Source Resource Blog and QSource.com, his spare time is spent contributing to the Autism Society's blog and his own personal blog where he talks about his experiences and offers his insights on being an autism parent. Dan has had a passion for autism awareness and advocacy ever since his young son with autism was a student in the YAP program. Autism is a multifaceted developmental disorder that includes impairments in social interaction and developmental language, communication skills, and rigid, repetitive behaviors. Autism includes a wide spectrum of symptoms and levels of impairment. There is currently no cure for autism. The Young Autism Program (YAP) was created in 1995 as an experimental program with the goal of returning autistic children to regular kindergarten by age six. It is one of the most intensive programs of its kind in the U.S. The YAP Charitable Foundation was formed by YAP parents in 1999 to privately raise funds to supplement the unique educational needs of children enrolled in the Young Autism Program. The Annual Dinner/Dance is their largest fundraising event of the year. Previous Dinner/Dance guest speakers have included state and local representatives, researchers, and other autism parents. "Being asked to speak at the YAP Dinner/Dance was an incredible honor," Dan said. "Many parents of autistic children go through similar experiences as I have and to see the audience's reactions to my speech was very touching and one of the most incredible and inspirational feelings I've ever had." Everyone at Q Source would like to congratulate Dan for being asked to deliver the keynote at this important event. We're all very proud of your hard work and devotion to this very important subject. Keep up the inspiring work!